While everyone has heard of stocks, bonds are another very common type of investment that is not understood nearly as well by most people. 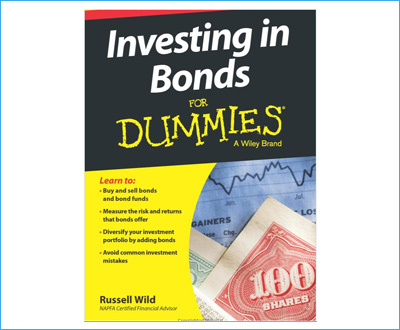 Investing in Bonds for Dummies by Russell Wild seeks to change that. This book review wants to see how well it does. Investing in Bonds for Dummies is a fairly broad introduction to bonds and how to trade in them. As such, it covers both the general principles of trading in securities, including things like balancing the risk in your portfolio, with specific advice relating to bonds. It considers both direct purchase of bonds and buying into bond funds, which is the more common way for regular investors to be involved in the bond market. The book is very modern and up to date, showing readers how to do things like trade bonds or invest in funds online. It is also a pretty easy read with more emphasis on practical knowledge than theory. That said, it does offer plenty of explanations for why certain things happen in the bond market, such as the effect of interest rates on both bond price and yield over time. The author of the book – Russell Wild – is himself a financial advisor and global investment expert who specializes in bonds and funds, and much of the information in the book is derived from his own personal experiences in the field. Unlike in the case of stocks, the yields paid by bonds form a big part of their value. While potential dividends may only slightly affect the price of a stock and investors might never see a single one, the value of a bond is a direct consequence of the payments that the bond issuer makes to the bondholder. For investors who are looking to invest a relatively small amount in bonds, bond funds make for a much better option than individual bonds. They also are much better balanced in terms of risk, which makes them better for low-volume investors as well. The maturity date of a bond is very important. While long-term bonds may look attractive because of their high-interest rates, the money invested in them could be hard to recoup because the price of the bond is more volatile. The money you earn from the bond could also be worth less by the time you get access to it due to inflation. In addition to differing in their interest rates and terms, income from some bonds, such as municipal ones, is also exempt from taxes. Depending on your tax situation, those bonds can be more attractive than higher yield ones that are taxed. Investing in Bonds for Dummies is full of useful information, easy to read, and is mostly self-contained; you don’t need much prior investing knowledge in order to take full advantage of the advice given. It is also very tightly focused on practical applications. This book is less about how bonds work and more about how you can use the bond market to accomplish your financial goals. The author devotes a considerable amount of ink to making a proper investment plan and setting expectations for what bonds can accomplish. 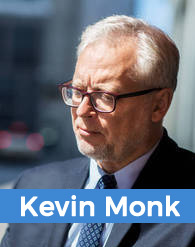 He is also quite realistic about the feasibility and risks of bond investing, and offers bond funds as a good alternative for maximizing the advantage of bonds and addressing their weaknesses. Very few people are likely to start their investment career with bonds, in large part because they are so much more complicated than stocks. As such, most readers of this book are likely to already have some investment experience and knowledge, making the general investment advice that makes up much of the book redundant. Readers who are already quite investment-savvy may want to instead pick up a book that is more oriented towards experienced investors. Investing in Bonds for Dummies offers a good general overview of the bond market and how you can invest in it in order to make money or save for retirement. It offers a good clear-headed assessment of both the advantage and disadvantages of bonds and bond funds, and gives the reader the knowledge needed to get started investing in them. It is a great book for anyone new to investing or looking for a practical approach to the bond markets.